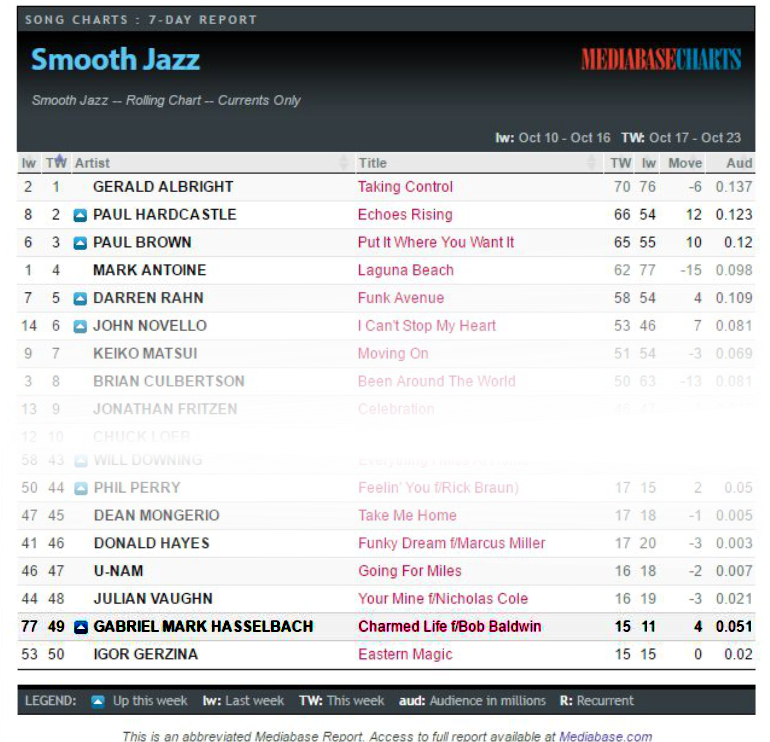 i seem to have made the Smooth Jazz Network's Top 50 at #28! Check out Bob Baldwin's fluent piano chops and the excellent rhythm playing from Lew Laing, Jr.! Blue Martini Jazz Jam this Sunday 6:30 - 9pm! 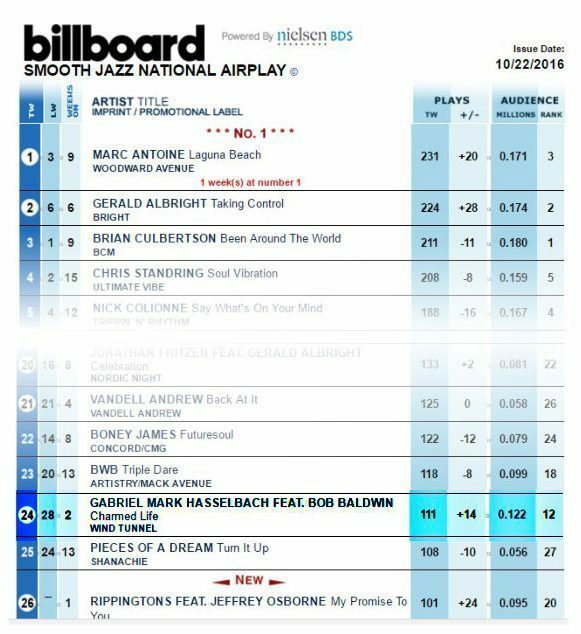 Charmed Life on Billboard at #19 after 13 weeks - and still rising! My svelte and funky track Charmed Life (feat. 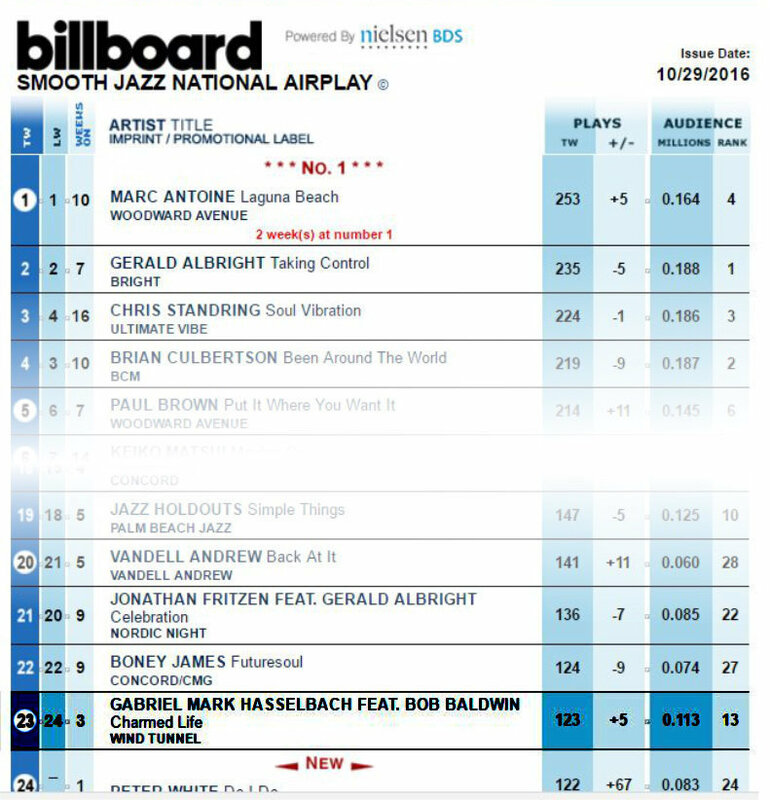 Bob Baldwin) is still moving up the charts after 13 weeks, #19 on Billboard, and debuted on MediaBase at #38! This is the third single off my last album Open Invitation, and I have had pretty good exposure so far, with more to come. 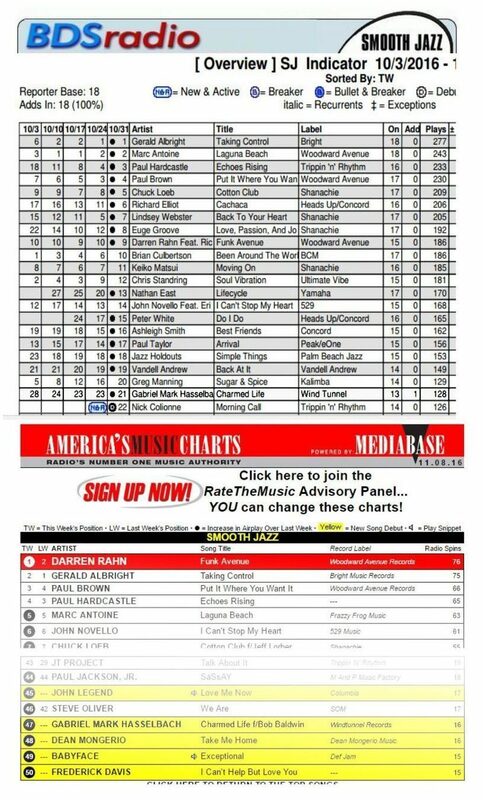 I am lucky to have had a half dozen Top 20's on my own, and several (up to Top 5) as featured artist with others. 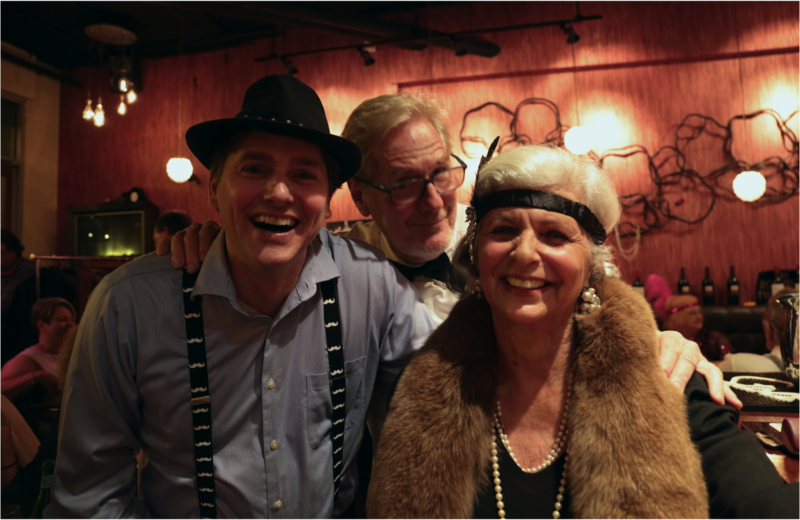 I have been thrilled to perform at Frankie's Italian Kitchen several times, under the auspices of Coastal Jazz and Blues and Cory Weeds... thanks! There is a new date scheduled there for me, Feb 24, 2017, so I hope to see you all come out. My usual A-Team will be on board, including Laurence Mollerup on bass; Joel Fountain on drums, Jason Decouto on piano, and I will be featuring the super sultry Alita Dupray on original and classic tunes. Not to be missed! 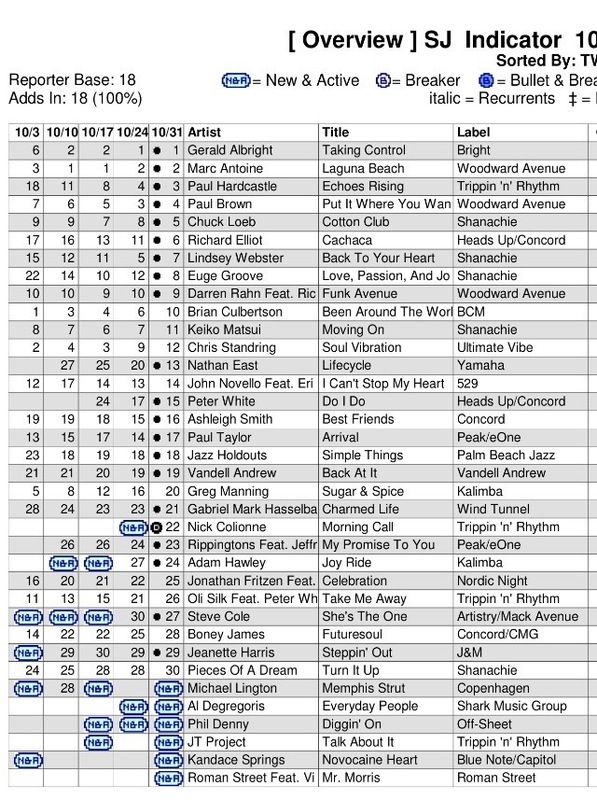 Charmed Life moves up the charts again! Another two spots upward to #21 on Billboard- a hopefully long arc to no. 1! Saturday (tonight) is a cozy haven for you and me at 7 pm at Ten Ten Tapas (1010 Beach ave on the seawall), perfect for this type of somber weekend! 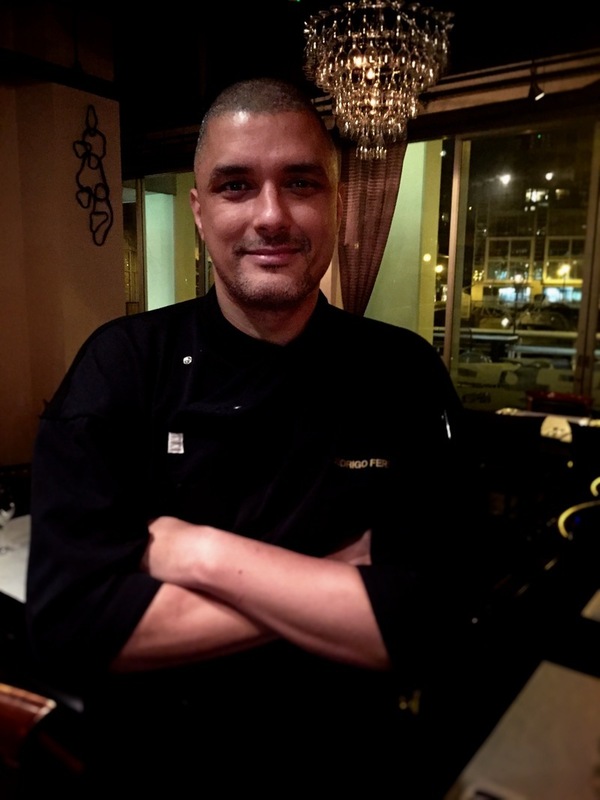 They have a new, highly experienced Chef, Rodrigo Fereira (see images below), who has created a new menu, which returns Ten Ten to their roots as a tapas place, with 15 new featured tapas. Any group of 6 or more mentioning they heard about this promotion receives a complimentary Welcome Drink for everyone in the party (Ten Ten's signature Dry Prosecco, grapefruit and bitters). Last Saturday Lisa Dunn AND her City Soul Choir came in and sang - what a party with them all- and Alita Dupray also graced the stage. Come on down singers! BTW, FREE PARKING! With Remembrance Day on Friday, you can stay out later on Thursday and will also be rested for Saturday and Sunday. Saturday is a cozy haven for me and you 7 pm at Ten Ten Tapas (1010 Beach ave on the seawall). perfect for this type of weekend It is pretty exciting there as of late! 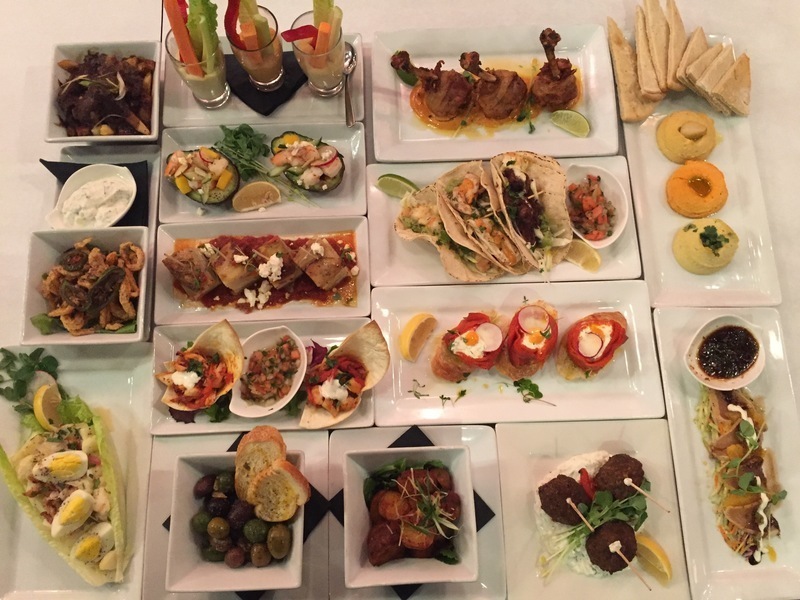 They have a new highly experienced Chef, Rodrigo Fereira (see images below), who has created a new menu, which returns Ten Ten to their roots as a tapas place, with 15 new featured tapas. Any group of 6 or more mentioning they heard about this promotion receives a complimentary Welcome Drink for everyone in the party (Ten Ten's signature Dry Prosecco, grapefruit and bitters). Last Saturday Lisa Dunn AND her City Soul Choir came in and sang - what a party with them all- and Alita Dupray also graced the stage. BTW, FREE PARKING! 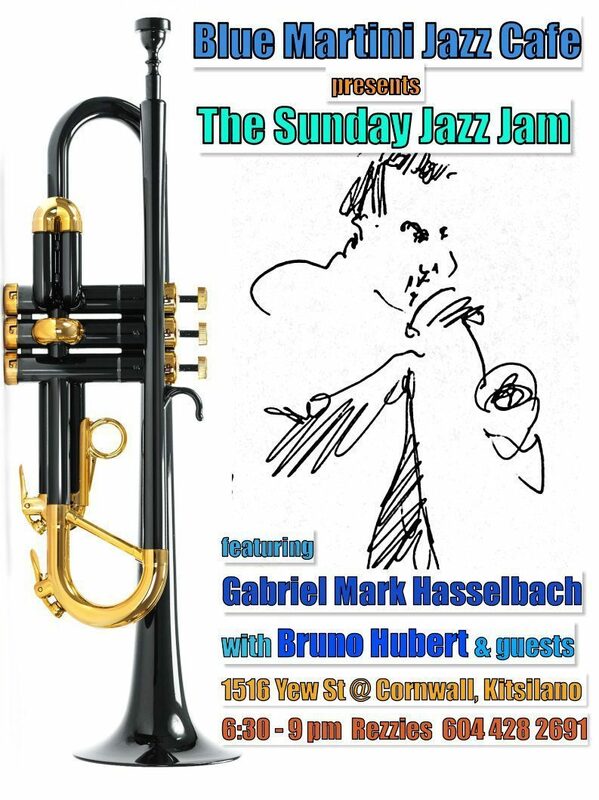 Sunday, the Sylvia Hotel 7 pm jazz jam continues (Beach Ave @ Gilford)! Last week we had four singers, two guitarists, a harmonica player, a drummer, and another horn player, and a bassist, so come on down! The prime rib is fantastic. Lisa Dunn rocked the house! It is still on the upward arc and here's hoping it is a long and fruitful journey! It should be a long arc and hopefully a satisfying one! Charmed Life jumps from #77 to #49 on the Mediabase charts, and up a notch to #23 on Billboard! 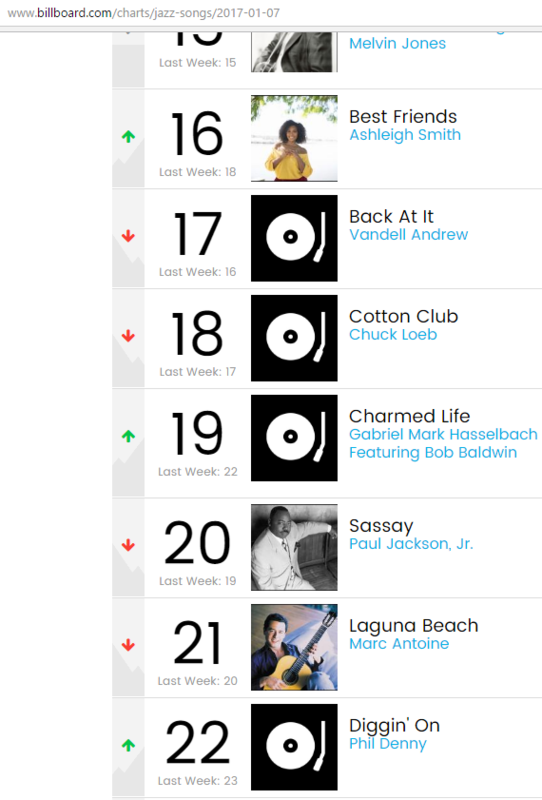 My tune Charmed Life from 'Open Invitation' finally cracked the Billboard charts, debuting at #28, and is now at #24. 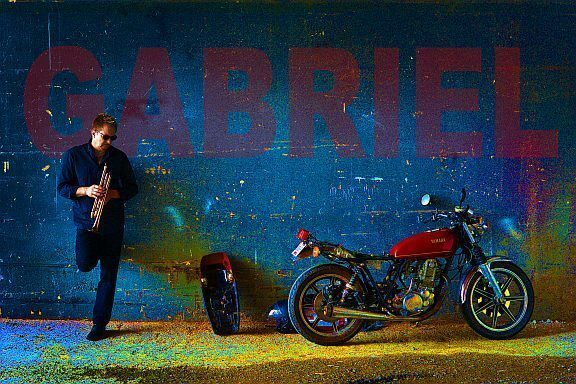 Check out the reviews from the likes of Randy Brecker and more! Here is the new interactive video for Charmed Life!